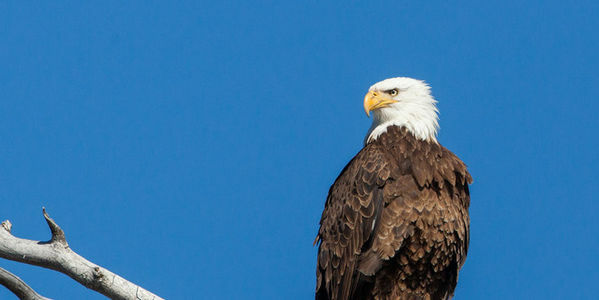 petition: Bald Eagles and Other Animals Are Dying Slow and Painful Deaths From Lead Poisoning! Bald Eagles and Other Animals Are Dying Slow and Painful Deaths From Lead Poisoning! Lead ammunition and fishing tackle pose an urgent threat to wildlife species across our country, including our national emblem: the bald eagle. We cannot stand idly by as lead poisoning kills our wildlife and threatens the survival of threatened and endangered species. Lead ammunition not only poisons wildlife through direct contact when an animal is shot but also when animals scavenge on the carcass of another animal shot with lead bullets or ingest fragments of lead bullets and fishing tackle left behind in the environment. Since bald eagles enjoy feasting on dead animals, they are particularly vulnerable to lead poisoning. The American Bird Conservancy estimates that 10 to 20 million animals are killed by lead poisoning in the United States every year. These animals can die a painful death through starvation, paralysis and damage to the nervous system or live with the symptoms of lead poisoning for a prolonged period of time before finally dying. Lead ammunition was the principal cause of the near extinction of the California condor, which is currently listed as critically endangered. Even though California banned lead ammunition in the state, lead ammunition still threatens the survival of the condor and other species as other states have more relaxed laws. The Obama administration recognized the severe threat lead poses to our nation's wildlife and enacted a national ban on lead ammunition and tackle. This was revoked, threatening the welfare and survival of many species across the country. Please restore the ban on lead ammunition and fishing tackle on federal lands to preserve our country's heritage and pride: our wildlife. Our country's beautiful and iconic bald eagle should not be forced to suffer a slow and painful death from lead poisoning.